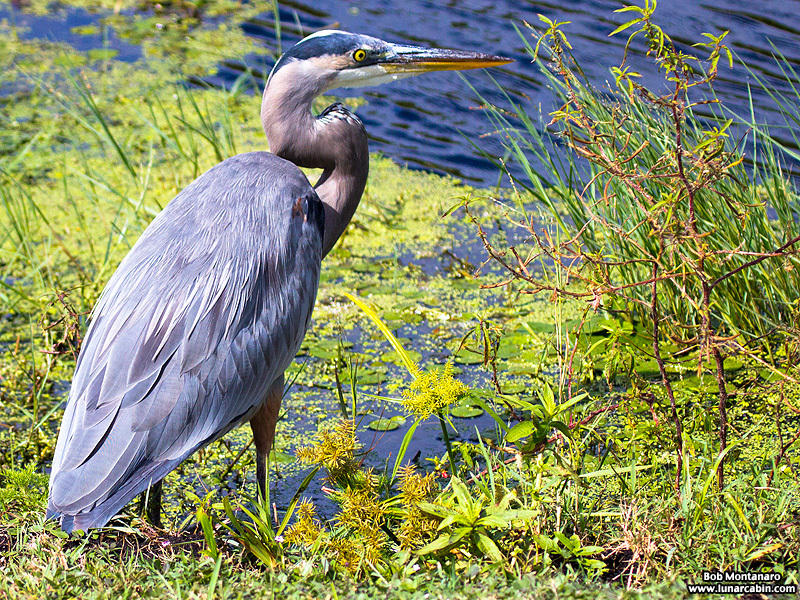 Great Blue Herons along the shore of Lake Apopka in Florida. 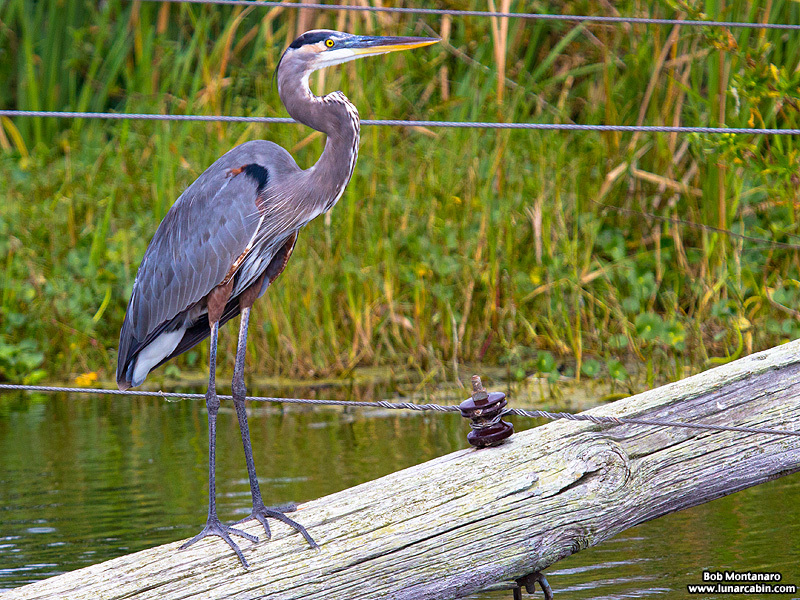 A Great Blue Heron stands atop a downed utility pole. This was taken shortly after Hurricane Matthew but the storm may not have been the cause of the toppled pole, which was a bit of a mystery. 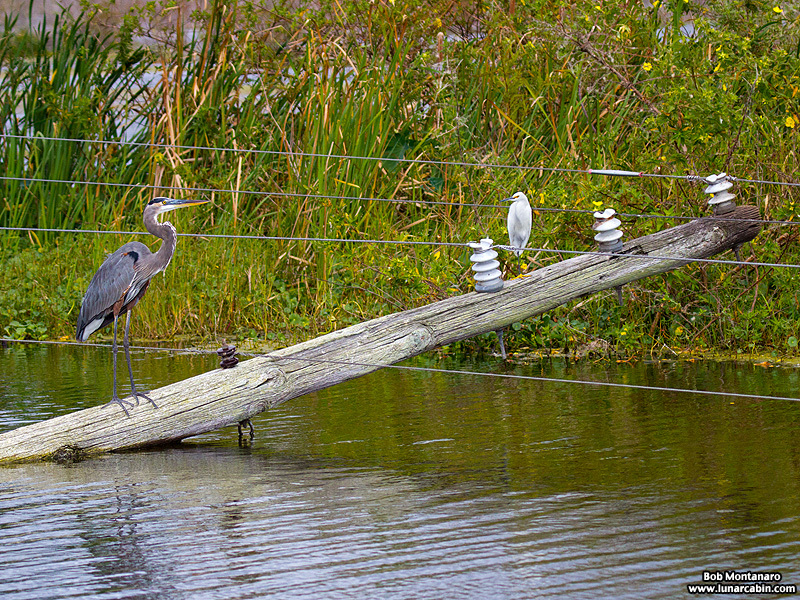 That’s a Snowy Egret looking inconspicuous in size and attitude higher up on the pole at right. 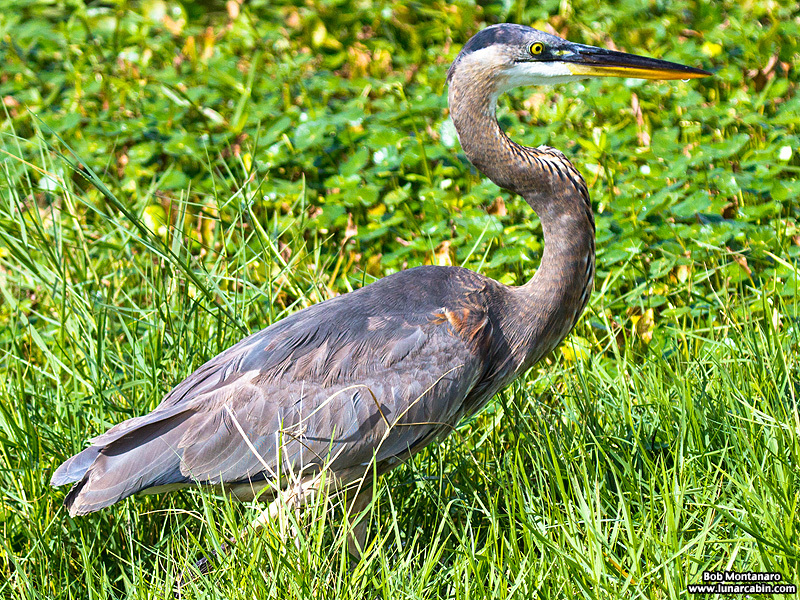 Ardea herodias in stately display.